On September 8, the OFJCC’s very own Membership Manager Stephanie Naillon completed her third Spartan Beast race in Seattle! She tells us what got her into the race in the first place and what it means to her. Spartan racing is obstacle course racing. The Spartan Beast is 13-15 miles of rugged terrain with steep inclines and 30-35 insane obstacles. The obstacles feature the “fire jump,” climbing under barbed wire, carrying a 70 pound bucket of rocks up a hill, 200 pound tire flips, a six foot & eight foot wall climb, mud crawl, spear throw, rope climbing, monkey bars, tractor pulls and more! Failure to complete any obstacle results in 30 burpee penalty per obstacle. 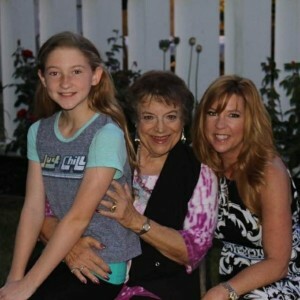 Stephanie (on right) with her daughter and mother (left and center). My Mom passed away unexpectedly in December 2017. She had a long battle with health issues. I needed to be strong for my family and felt the need to be both mentally and physically strong. Embarrassing as it is to admit, as the membership manager of a fitness center, I hadn’t worked out in over three years. I promised myself that starting January 1st, I would do a 30-day detox and start working out. No more excuses. 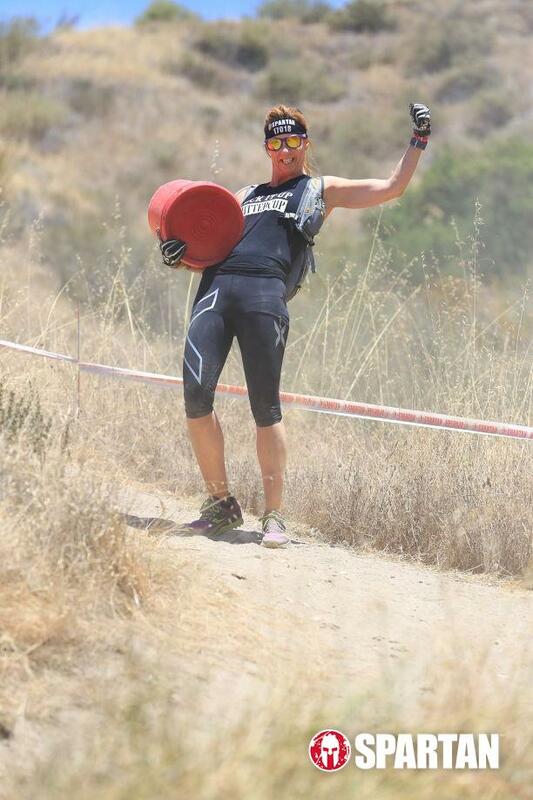 I signed up for my first Spartan race in March having no idea what was in store for me. I joined Bryan’s “Committed” class to learn some of the Spartan moves. I learned how to crawl under barbed wire, muscle up over six foot walls, and carry a 70 pound bucket up hill. I couldn’t do the monkey bars or climb the rope at my first race. (Go try it, it’s so difficult! So easy when we were kids). I set a goal to master the bars at my next race in June. I did it! I was so excited; I did them twice at the race! You get to ring the bell when you accomplish a difficult obstacle. My goal for the Beast is to get up the rope and cross that finish line to get my medals! I love our new Outdoor Training Area at the OFJCC. You can find me out there at 7 AM practicing on the monkey bars and flipping the tire. I am looking forward to our Spartan SGX training classes coming up this month. Stephanie conquers the Spartan Beast! Personally, being able to accomplish obstacles that I never thought I could conquer mentally or physically has changed my life. I finally feel strong inside and out. My 15-year-old daughter thinks I’m amazing. I love that I’ve inspired her to never give up and not to let any obstacles stand in her way. People can’t believe at 52 I’m doing these insane races. I want to inspire others to believe in themselves and never give up on your goals. Age is just a number. Signing up for a Spartan race kept me accountable to better myself physically and mentally daily. I continue to sign up for more races to keep me reaching to get to the next level. I love the Spartan code: Spartans push their minds and bodies to the limits, master their emotions, learn continuously, give generously, lead, stand up for their beliefs no matter the cost, know their flaws as well as their strengths and prove themselves through actions, not words. I believe you should live every day as if it were your last and always have fun! My Mom would be proud!